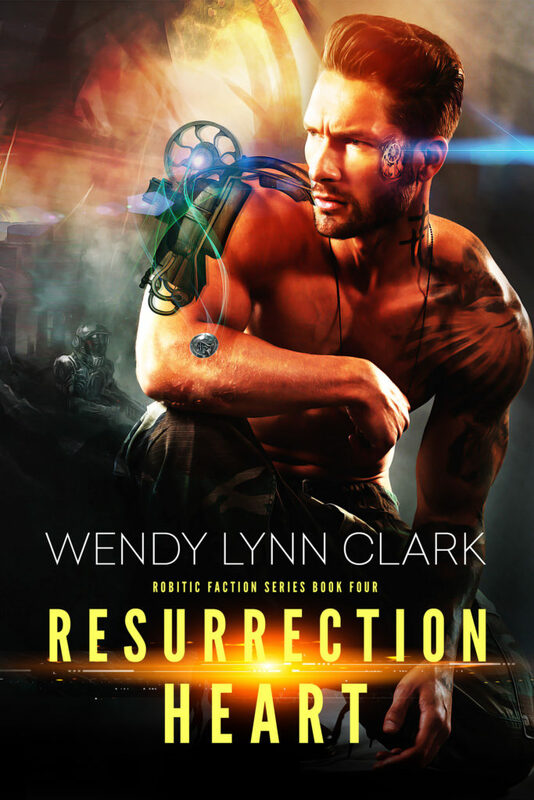 Resurrection Heart is the fourth book (chronologically) in the Robotics Faction saga, and starts an all new chapter in the series of sci-fi romance novels. If you like starships, robots, and hot romance, then you’ll love the latest offering from Wendy Lynn Clark. Buy Resurrection Heart to start feeling the heat today! Logen carried her. Lithe and graceful, strong and unstoppable. He sweated from the heat. The biceps she longed to curl her fingers around bulged from exertion. She tried not to focus on the hard power of his thigh flexing between her damp legs. Or his body pressing against hers, forcing her to feel every inch of his masculine appeal. Or the soft grunts of exertion, sending her forbidden ideas of teasing other noises from him with her teeth and her tongue. “Tell me your stents aren’t working,” she said suddenly, to keep herself from doing exactly that. She took the lobe between her teeth. Sirus, long-absent CO of the Misfits mercenary unit, is the brother of Emprezia (Liberation Origins) and the uncle of Mercury (Liberation's Desire) and Cressida (Liberation's Kiss). He first appears very briefly in Liberation's Desire. He's the uncle who took care of Mercury for all the years she lived in hiding.